Why Should We Care About Libraries? I remember my very first library card. I got it when I was six years old from a bookmobile in New Bedford, Massachusetts. A new world opened to me via the public library and bookmobile. By the time I was nine, I learned that I could teach myself nearly anything from a book. My eyes were opened! Apply that today to not just libraries, but the digital world the Internet, Google, and YouTube have opened up for us. democrats and republicans alike—and anyone interested in the relevance, advocacy, and importance of libraries and librarians today and in the future. We must not be a society that burns books—or libraries. Books, real tomes of paper as well as all the digital entities that make up reading, must not be allowed to burn, disintegrate, or fall into the digital abyss of fathoms of Internet nothingness. 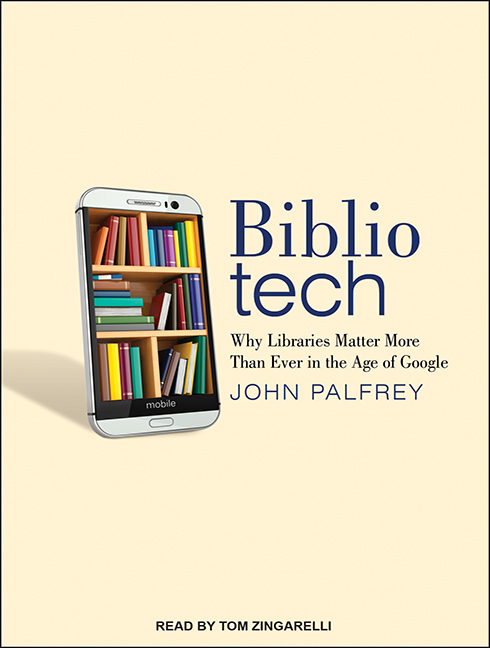 This book is not just for librarians – it is written so that anyone can “get it” regarding the value of the librarianship of books both digital and codified in a digital plus Google world, as well as the diversification of library collections, copyright law, privacy, and the print vs. digital debate. Give a copy to your local library board, town council, school board, and go ahead and listen to it yourselves. Libraries matter. 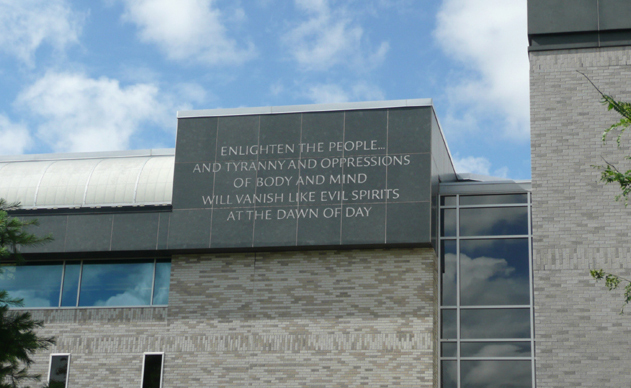 Nine inscriptions decorate the University Library in Kingston. They were carved by John Benson from 1992-1995 as part of a program to provide art for public facilities. While achieving my MLIS from the University of Rhode Island, I faced the following two signs on my every visit to the university library. Think about the message they give to students, professors, and visitors on campus regarding the very nature of libraries and why they exist. I am a librarian, and proud of it. I use my skills daily. Love your libraries, as it gives voice and education to those who cannot afford Internet connections, those who cannot buy the latest best seller or audiobook. Hug a librarian. Libraries and librarians expand minds.